﻿ Procedures Safe for the Summertime! Procedures Safe for the Summertime! I am always amazed by how summer feels as though it is coming to an end as soon as the calendar hits August. Although it may feel like the “dog darn days of summer” are over, half of the summer still remains! I would like to take this opportunity to review some procedures that are safe to do in the summertime. Unlike lasers which treat skin at the surface, Ultherapy uses ultrasound energy to treat deeper layers of the skin so there is no risk of damage from sun exposure. 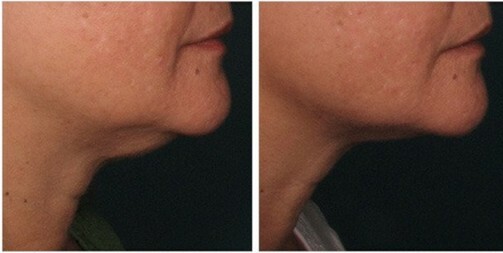 It is FDA approved to help lift and tighten skin of the face, chin, neck and decollete area. It is a very safe procedure that can be done anytime of the year, and there is no downtime. These procedures are safe anytime of the year as there is no skin resurfacing involved with either of them. The main thing I would recommend is to avoid prolonged periods of sun exposure and/or sun-tanning for 1-2 days right after the procedure. And of course, use a sunscreen with an SPF of at least 30 after any procedure. Aggressive chemical peels and resurfacing lasers which slough off the top layer of the skin, and leave your skin susceptible to sun damage and potential hyperpigmentation. Save these procedures for the fall and wintertime. Regardless of what summer-friendly procedure above you do, make sure to use sunscreen and reapply every 2-3 hours when spending prolonged periods of time in the sun. See our new sunscreen below! 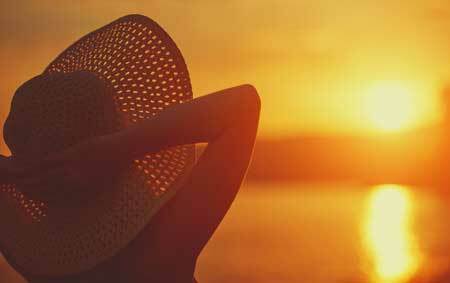 Also, a wide-brimmed hat and big sunglasses are not only fashionable, but can further protect you!